It's time to Kale Up! CELEBRATING A YEAR OF KALE! How is it December already? 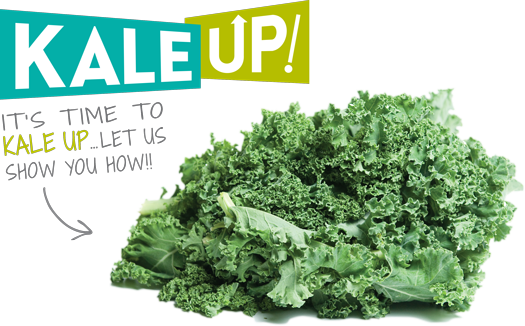 We can’t believe 2014 – the year to Kale Up! is coming to an end. We have loved creating 36 recipes to show you kale is perfect for any occasion in just about any dish. 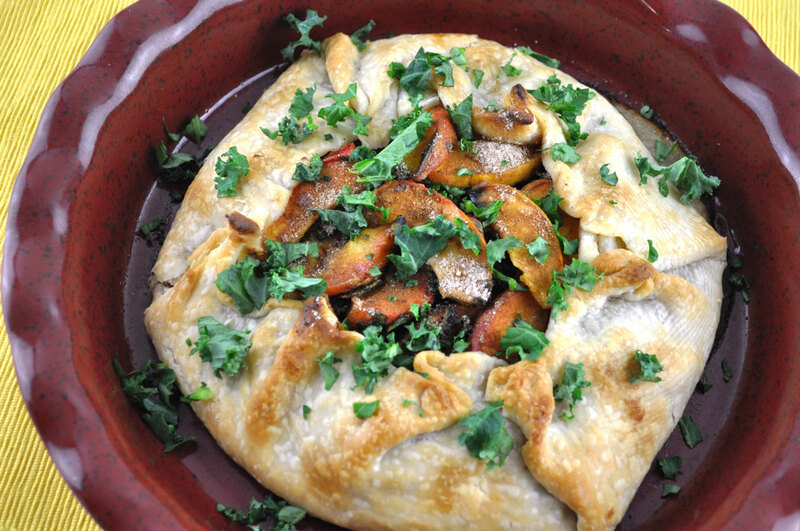 Download our Kale Up Cookbooks for easy access to seasonal favorites. And don’t forget to follow Monique Coleman’s journey with Nature’s Greens! This fellow South Carolina native loves greens as much as we do, and wants to show you that incorporating vegetables in our daily life is easier than you think! Before we take a look back at your top 10 favorite recipes, be sure to check our creations for December! This month’s dishes were inspired by this magical time of year: Festive Kale & Cranberry Salad, Cheesy & Cheerful Kale Bake and Kalebration Stir Fry. Happy holidays! AUTUMN YOU GLAD IT’S FALL? With the colder weather urging us to hide under our blankets indoors, we’re ready for some warm home-cooked meals. Comfort food not only has a magical way of bringing back precious memories, but also brings families together during this earnest season. Think of your memories with loved ones, especially the holidays, and the unforgettable meals and feelings of comfort, laughter and warmth. These are the moments we’re thankful for this month. Traditional meals, family recipes, and completely new inventions are all what make these experiences so cherished. This November make more memories in the kitchen, and put a little twist to some old comfort favorites and find a helping hand to do it. 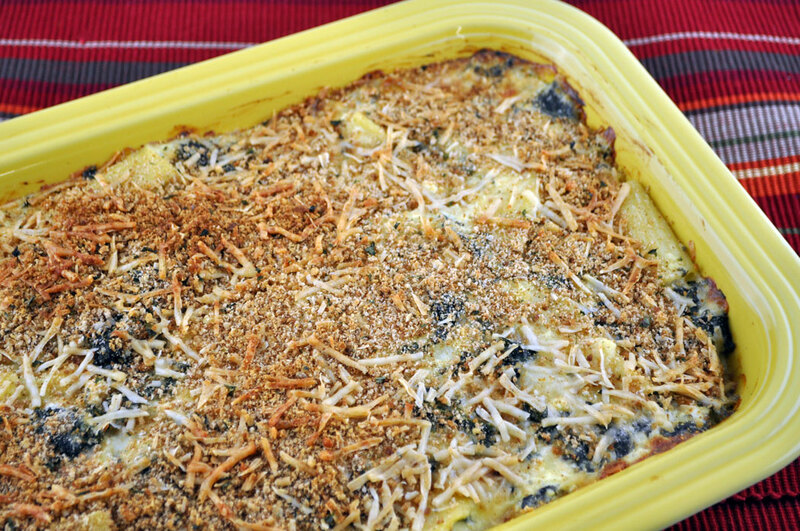 Our Baked Kale Pasta, Cozy Kale Chili or Creamy Kale Bisque should do the trick! Let’s welcome fall, and remember food is love! No matter where you’re at in life, living on your own, keeping together a house full of kids, or welcoming your role as an empty nester, food has a way of bringing us closer. From our family farm, happy Thanksgiving! Thank you! Without you, there wouldn’t be the Halloween costumes, candy and haunted houses we have come to love this time of year. Why? Well the holiday began over 2,000 years ago as a harvest celebration. October 31st marked the end of the harvest season and the Celtic New Year, a day when the ghosts of the dead were believed to roam the earth. While the holiday has changed over the years, we have not forgotten the importance of our vegetables – especially our leafy greens! This month, we’re honoring kale, and suggest you host a little festival of your own too. 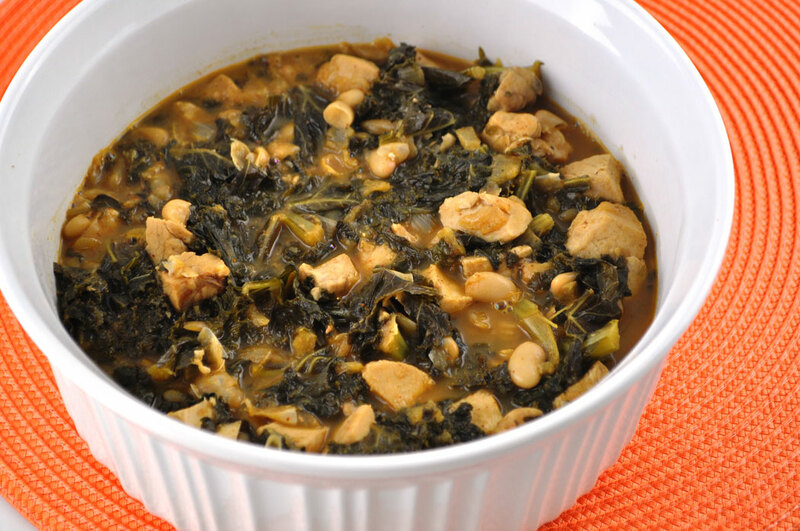 As you put up the cobwebs and jack-o-lanterns, find some time to relax in the kitchen and create these fun and tasty kale recipes. 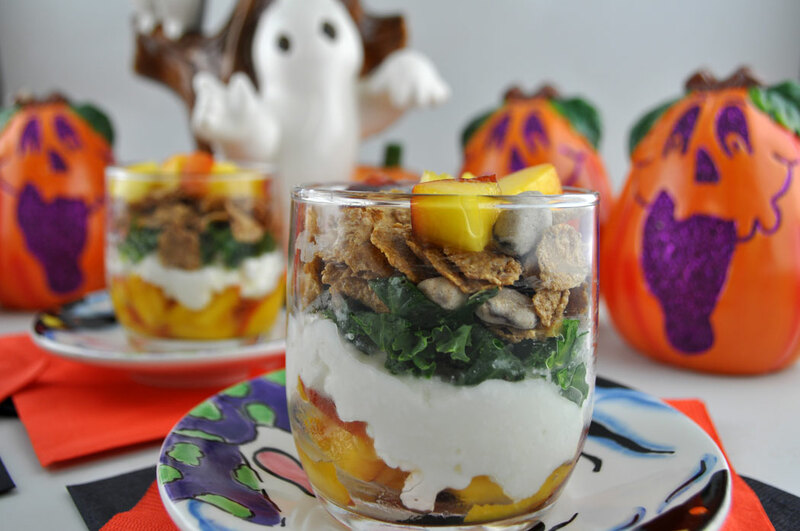 We’ve channeled our spooky side to create this month’s Hallows Eve Kale Bites, Spooky Cottage Cheese Crunch, and Witch's Kale Cauldron with Fruit. Also, don’t forget to celebrate the first day of the month! October 1st is National Kale Day, and we’re a proud sponsor. Be sure to check out nationalkaleday.org to find trivia, facts and events near you! Our Kale Up Fall Cookbook is also filled with recipes from Jennifer Iserloh, Skinny Chef and co-founder of National Kale Day. And follow us on social media for some fun surprises. Happy #KaleDay2014! Post Labor Day blues? Summer hours and weekend retreats may be over, but who says we need to get back into our regular routine? We’re starting each day anew. Leafy greens are traditionally eaten in the afternoon or evening, but there's no reason you can't incorporate the nutrient-dense, calorie-light veggies into your wake up call. As the most important meal of the day, breakfast will fuel you for what’s ahead. If you like to snooze until the last possible minute, and are thinking breakfast isn’t your thing – stop right there. We’ve been hard at work cooking and baking up simply delicious kale recipes you can even prepare the night before. Cause let’s face it – some mornings we just don’t have time for an elaborate meal. 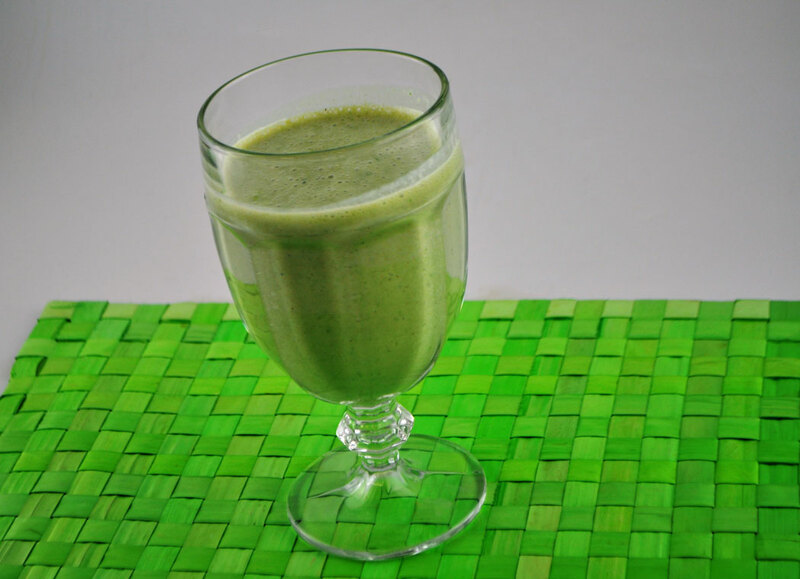 Kale smoothies like the Lean & Green Kale Up! 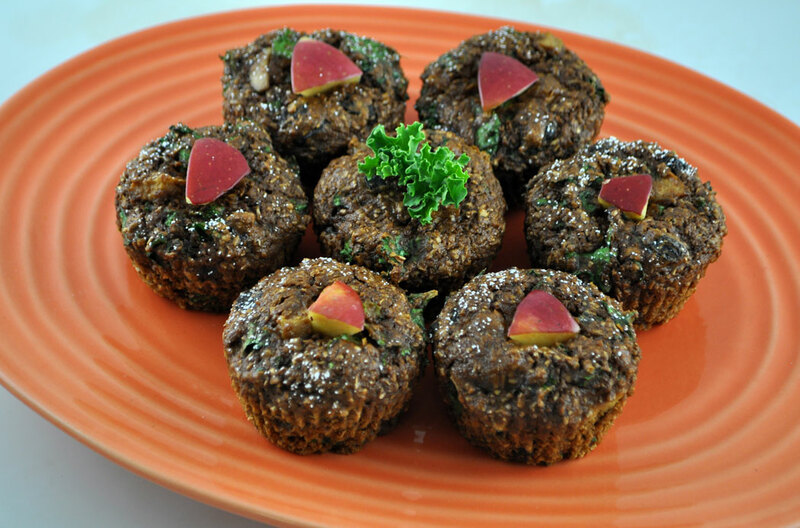 Machine or Kool Kale Smoothie are quick and delicious, and now we have another favorite on-the-go treat: Kale Lovers’ Morning Muffins. These are bound to keep you full until your next meal, and easy to make ahead of time. Looking for another morning meal to prepare in advance? Whip up our Kale Yeah! Breakfast Bake. Cut it into portions and reheat in the morning. And, for those mornings when you have a little more time to spare, we proudly present our Wake Up Cheesecake French Toast. This is a delicious treat for a lazy weekend morning that you are bound to enjoy. 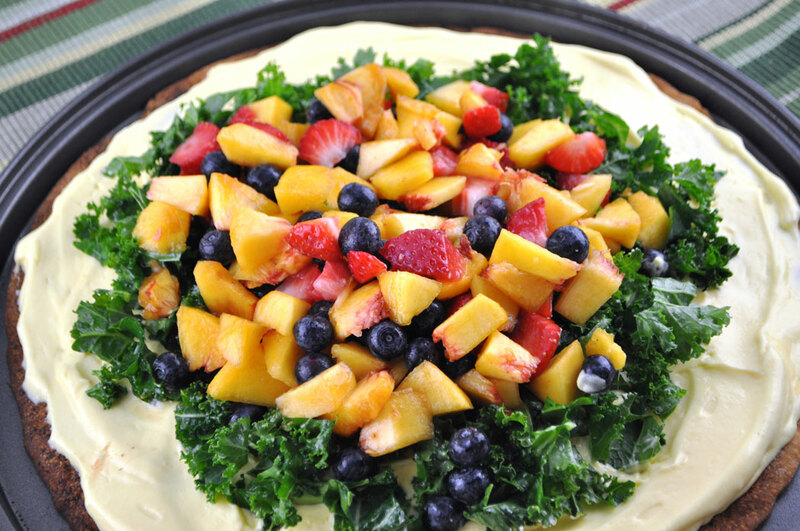 It’s sweet, it’s salty, it’s got fruit, it’s got kale, it is…heavenly! Give it a try and you will see for yourself. This first week of August is National Simplify Your Life Week. It’s a week to get rid of the chaos and clutter; clean up your crazy schedules and control your growing responsibilities. Summer should be stress-free! And we have a recipe for pure happiness: beautiful weather, fresh fruit and Nature’s Greens Kale. But let’s do this right! Instead of adding to an endless to-do list, simplify your life by planning healthy meals ahead of time. Planning ahead will help keep you and your family eating right. Grilling out may be easy and relaxing, but burgers and dogs aren’t doing your body any favors. Freshen up with fruity kale salads for the final days of summer. Don’t let the texture of raw kale scare you. Kale salads are the best! One of the greatest things about kale is that it won’t shrivel or wilt like other salad greens. Pour on the dressing, kale can handle it. Chop it in small pieces or if you’re a little more adventurous try cutting it in ribbons. Ta-dah! Kale salad coming right up! Now for the toppings (and boy do we love these options!). If you’re as fruity as they come try our Oh So Peachy Kale Salad. This peachy, mango, strawberry salad is summer delight in a bowl. If you’re looking for protein this Can’t A Chicken Kale Up? Salad has fresh melon and meat. And if you’re on the go, good thing you planned ahead. 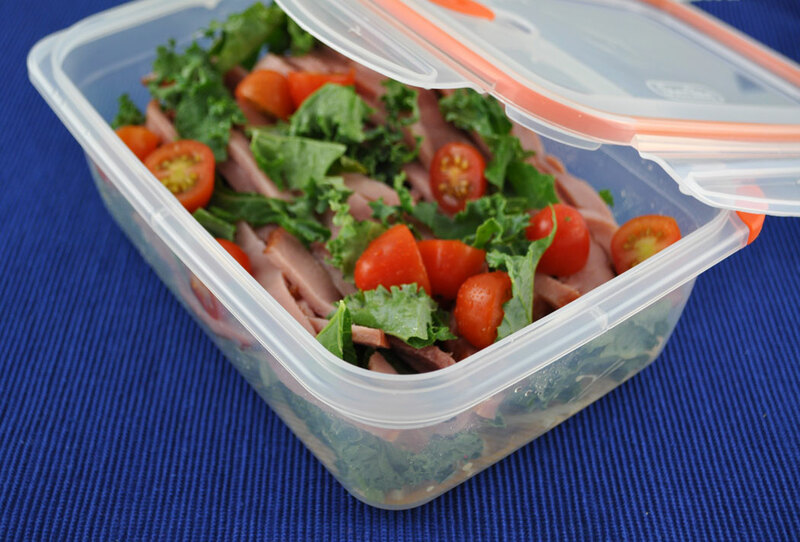 Grab this Kale Salad To-Go. Simplify your life this week, and every week to come. And remember, keep calm and Kale Up! Can't A Chicken Kale Up? Some of us have had a very long winter and now we can finally say SUMMER’S HERE! Summer is always such a great time—everyone’s happy to finally be outdoors, the weather is warmer, the nights are longer and we get the added bonus to get to spend more time with our families. Yes, the kids are out of school, we get to take those long-awaited summer trips and stay-cations. Let the summer fun begin! If you are having friends and family over this Fourth of July weekend (or anytime this summer, really), chances are you will be grilling. You’ve got your corn, you’ve got your proteins, and this year, you’ll have your kale (obviously). You are probably thinking, ok, stop right there, kale and grilling don’t go together. But we are here to tell you that they do in fact, go together. 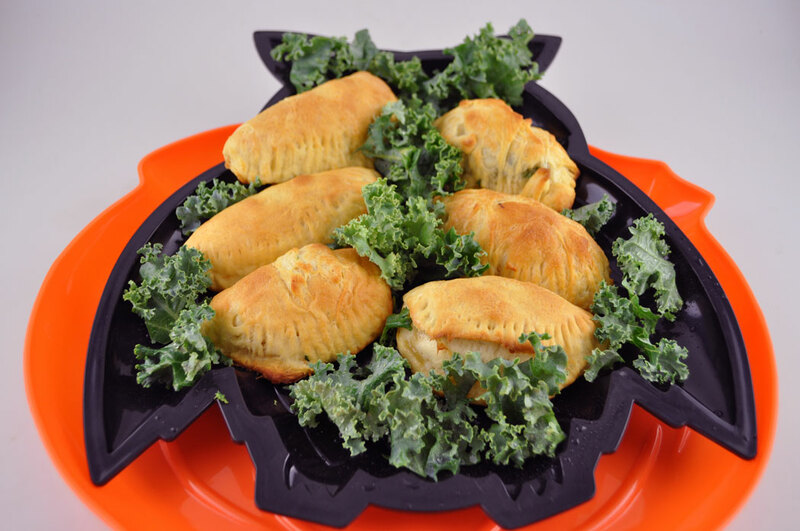 Just one look at our kale hot dog recipe below and you’ll see where we are going with this. Eating healthy can feel like a full time job. Sometimes, it would be so much easier to just pull the car into the closest drive-thru instead of taking a few minutes to put something healthy together. It’s the little things that really add up, and it is finding ways to add some greens into foods that you are already eating that makes all the difference. Let us introduce you to this month’s Citrus Spread with Kale. 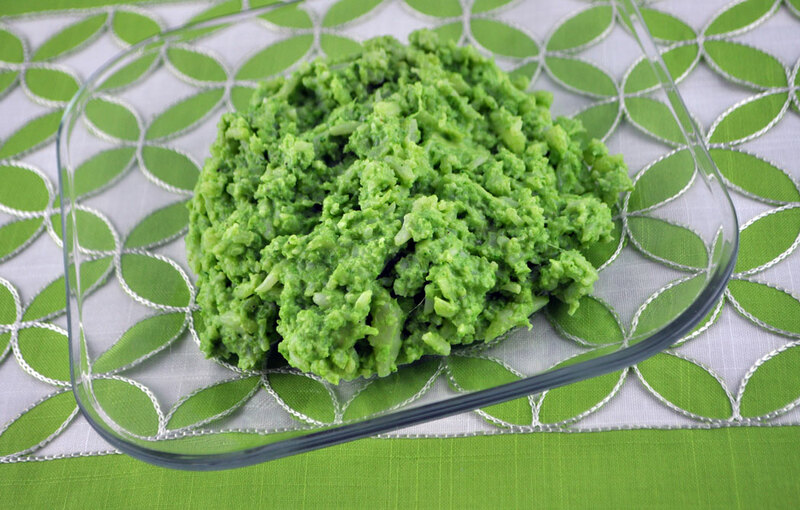 It really is a new, green version of your morning bagel or toast. This delicious spread will get your day off to a great start! Did we mention kale goes great with grilling? 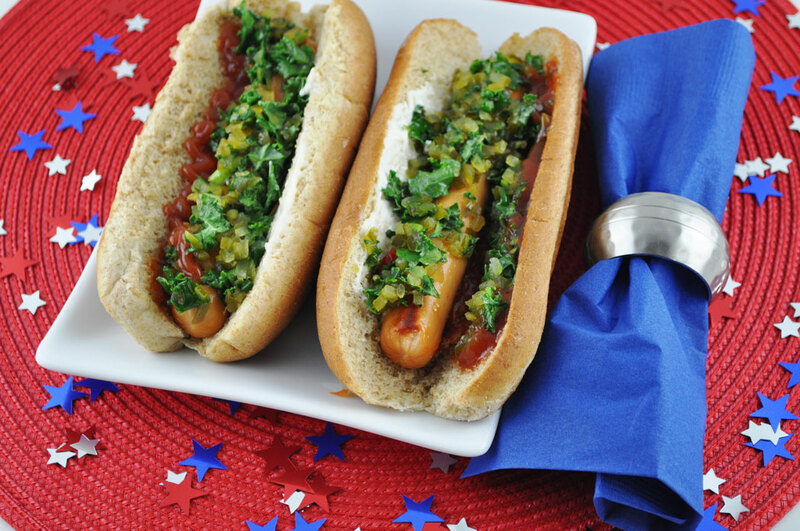 Drumroll please…here come the Red, White and Green Hot dogs. Whether it is your Fourth of July gathering, a family reunion or a lazy summer day outing to your local park, pack some kale into that picnic basket! These hot dogs are so good and they too include that little “green” addition that will make you feel a little better about what you are putting into your and your family’s bodies. 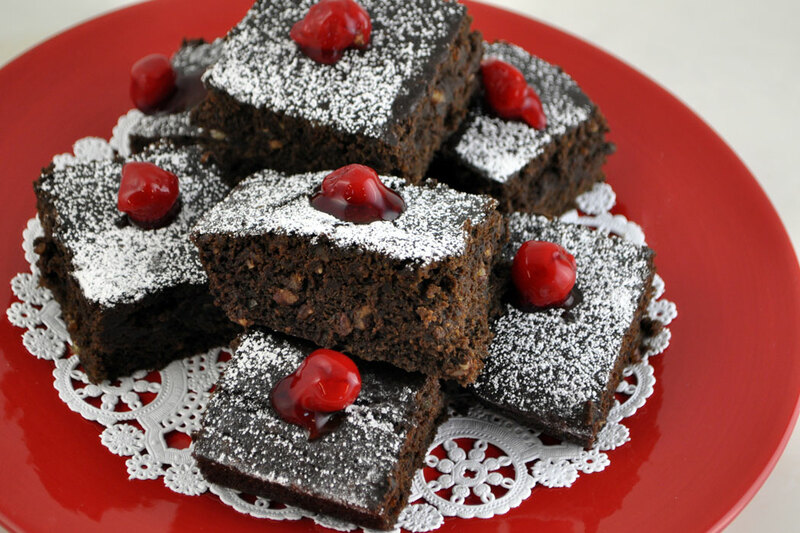 And finally, we all need a little something sweet in our lives, wouldn’t you agree? Sometimes you find yourself looking for that perfect item with which to top off your perfect meal...you may have found what you’ve been looking for! 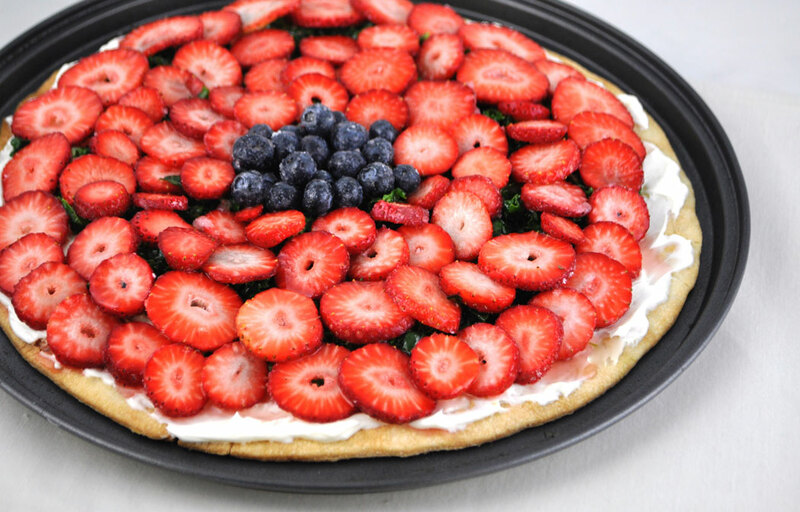 You won’t be disappointed with our Summer Days Fruit Flatbread, what we think is the perfect combination of sweet and salty, decadent and healthy! Here’s to summer—and to you! KALE YEAH! SUMMER AT LAST! Summer at last. Relax and take in a deep breath of fresh air! Now parents, it’s time to get back to reality. School’s out and the kids are home. They can be a handful, and it is our responsibility to keep them safe, happy, and healthy. It may only be June, but temperatures are rising, and the heat can make anyone a tad ornery. Cool down and kale up! Avoid the sugary frozen treats. Satisfy yourself and your growing kids with our Kool Kale Smootie and Kalesicles. Blended with fresh fruit, these kale recipes are sweet, refreshing, and exactly what you need on a hot day. On the go? 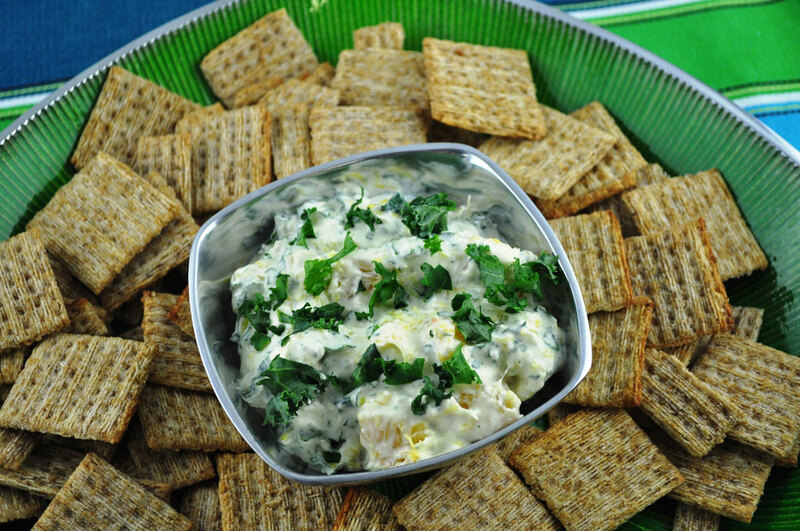 Pack up some Kid Friendly BKT sandwiches for a picnic or day at the beach. This modern take on the traditional BLT includes avocado instead of mayo for a healthier creamy taste, and substitutes lettuce for a more nutritional leafy green, kale. Want to know why? There you have it! Kale is king with a Vitamin K level out of this world, which helps build strong bones and promote overall health for you and your growing family. Not only is it more nutritious than lettuce, it is much more versatile. 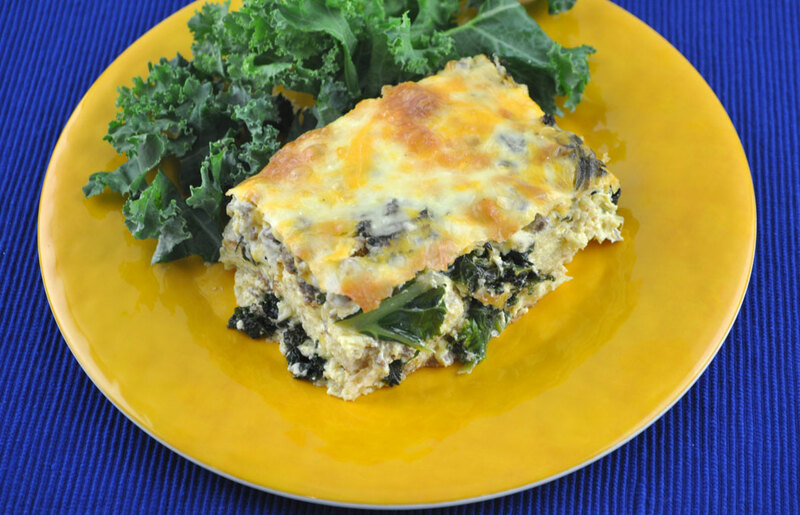 Kale can be sautéed, roasted, grilled, tossed in a salad… we could go on and on, and we have! So check out all of our recipes and tell us your favorites at facebook.com/WPRawl. If it weren’t for mothers, we wouldn’t be here to share all the wonderful things about kale and you wouldn’t be here to read them! We owe them so much. Mothers are our skinned-knee fixers, broken-heart menders, and number one fans. Moms, we dedicate this one to you. So kids – don’t sweat it! We’ve got you covered this Mother’s day with a full-course meal made just for her. These kale recipes, your mom will… wait for it… LOVE. And to all the mothers reading this – have your kids prepare these deliciously healthy recipes for you. First course: Let’s talk salads. Actually, let’s talk The Mother of All Kale Salads. 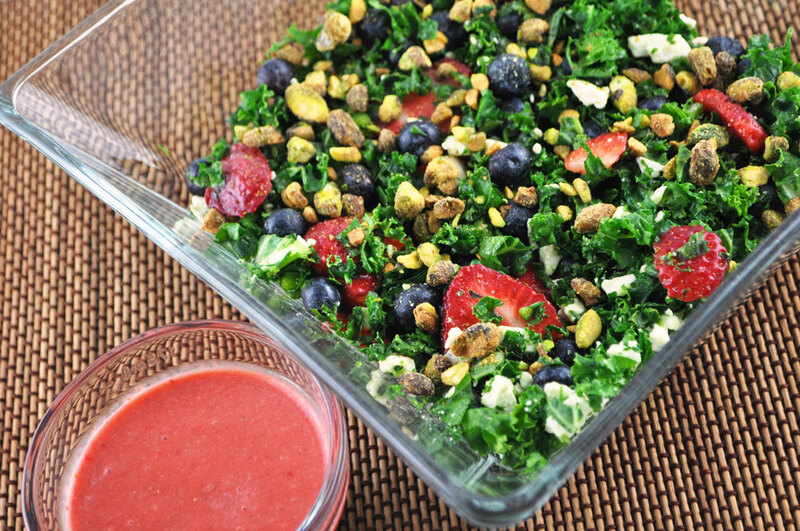 This ultimate kale salad has a burst of sweetness courtesy of strawberries and blueberries. You already know how good kale is for you, and adding blueberries gives you an extra boost of antioxidants. 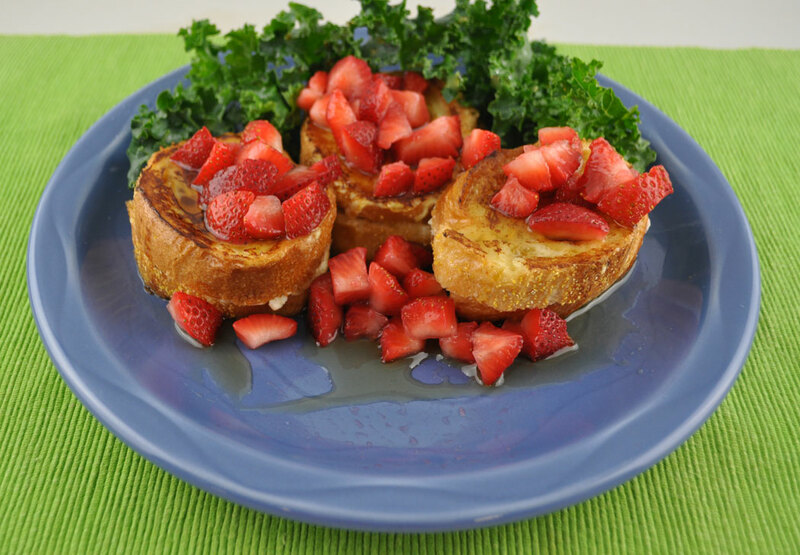 Top off this starter with the just-sweet-enough strawberry dressing and serve to mom! Main course: Now, impress her with this main course. 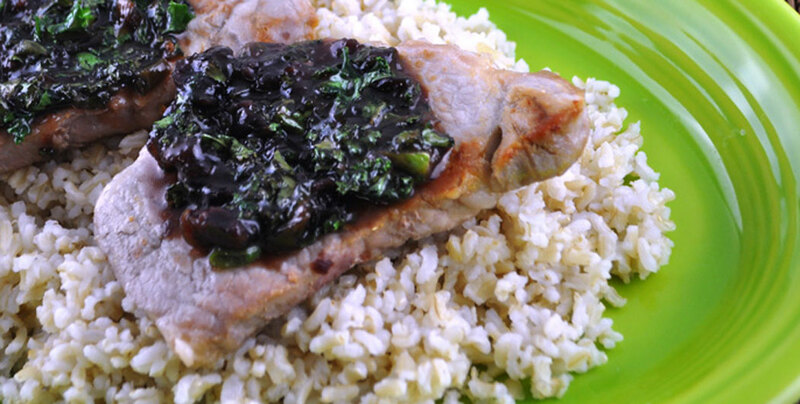 Turn your everyday pork chops into beautifully-dressed Mother’s Day Kale Chops! This amazing combination of sweet, salty, delicious goodness has hints of cherry and orange. Trust us, she will love it! 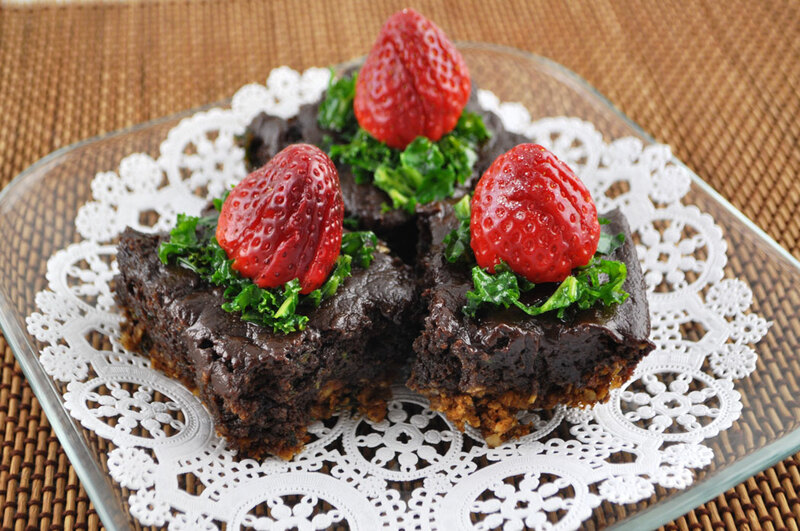 Dessert: End the meal with Strawberry Sweet Kale Treats. Yes, we found a way to incorporate kale into the crust, filling, and frosting of this sweet and savory treat. If you tried our Brownie Points in February, then you already know chocolate and kale make a perfect dessert! Try one or all of these recipes this Mother’s Day. We have a feeling you’ll make her proud. 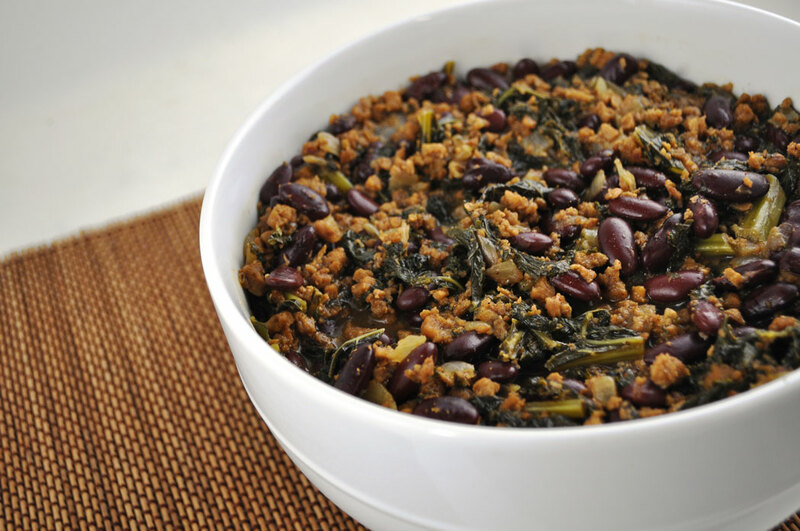 And why not share these recipes and some kale-love with everyone this month? KALE UP! KALE UP FOOLS? CHALLENGE ACCEPTED. It is April Fools and time to pull a few pranks and practical jokes. You may prey on the young or the gullible, but your best targets are those non-kale eaters. You know exactly who we’re talking about! That friend or family member who think they are above the kale craze. They think, “Why would I ever eat kale?” Well my friends, it is time for them to wise up with Kale Up Fools. It is time to show those people they are not too good for kale. In fact, kale is too good to resist! Kale has an antioxidant called Sulforaphane which improves learning and memory abilities following brain injuries. It helps fight high blood pressure and stimulates natural detoxifying enzymes to reduce brain inflammation, the risk of certain cancers such as breast, prostate, and gastric, and kills bacteria linked to stomach ulcers. Kale has Alpha-linolenic Acid (aka an omega-3 fatty acid). This fatty acid is good for your brain and heart. It lowers the risk of depression and decreases anxiety and stress. Kale has folates (aka vitamin B9). This vitamin keeps your brain cells healthy and ward off heart disease. Now, let’s fool those picky eaters! 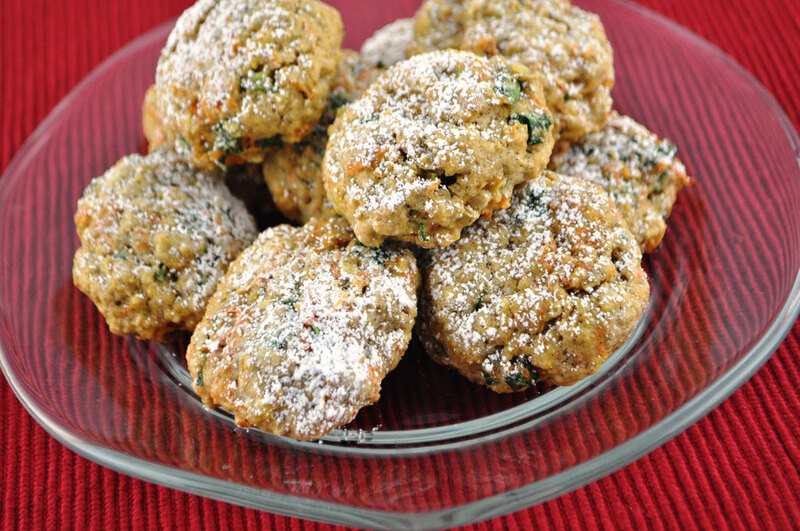 For those who truly refuse to touch kale, toss them one of our Hidden Kale Cookies. 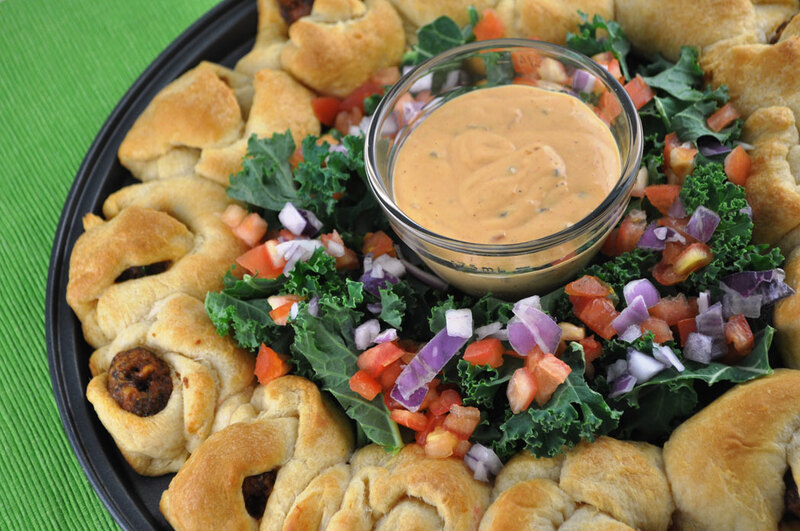 They’ll swallow it whole and have another before you can say “APRIl FOOLS!” And for a big blow-out, host a party with ALL of these non-kale eaters and serve our Camouflage Kale Meatballs as an appetizer. 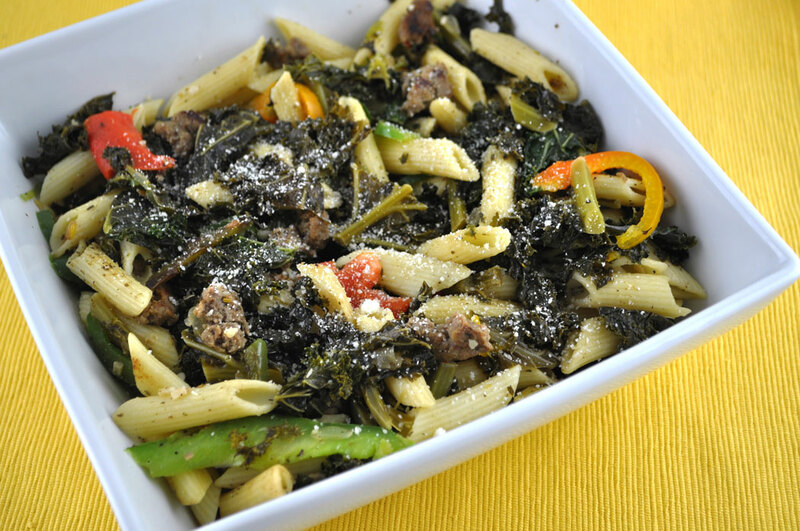 But if you’re not into the whole April Fools thing – try our No Joke Kale Penne. This delicious dish is hard to turn down, and everyone will beg for seconds. Kissing an Irish lad or lady is thought to be the next best thing to kissing the lucky and powerful Blarney Stone, of Blarney Castle near Cork, Ireland. But luck, isn’t just for the Irish and four leaf clovers. All of us can benefit from a little more green in our lives… and of course we’re talking about leafy greens! This month while everyone is adding green food coloring to their beer and pulling out their green gear and decorations, you too can get in the spirit and experience some luck – with kale. Why are we so lucky with kale? Fewer calories? Check. All the Vitamin A and K? Check, check. The endless ways to eat it? Check! That’s one of the best things about this amazing leafy green— it’s perfect any time things are rumbly in your tumbly. Mix it in your morning smoothie along with other delicious vegetables and fruits. 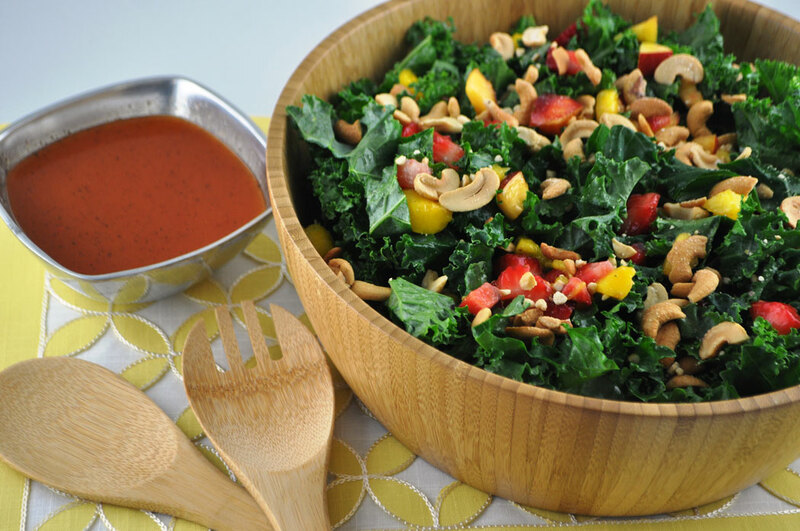 At lunch, toss a great big kale salad with dried fruits, a light dressing, maybe some nuts for protein. 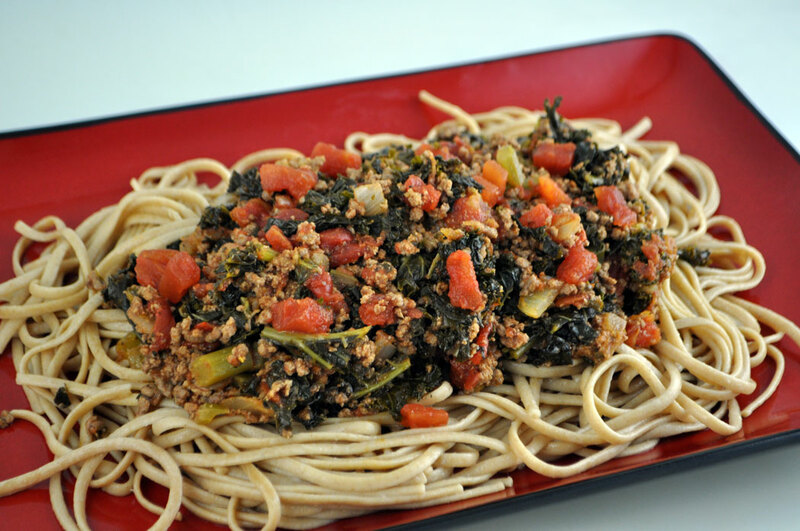 For dinner, use it as the “dressing” to your pasta, like we showed you in last month’s Sweetheart Spaghetti. And in between meals, crunchy kale chips are the ultimate snack! 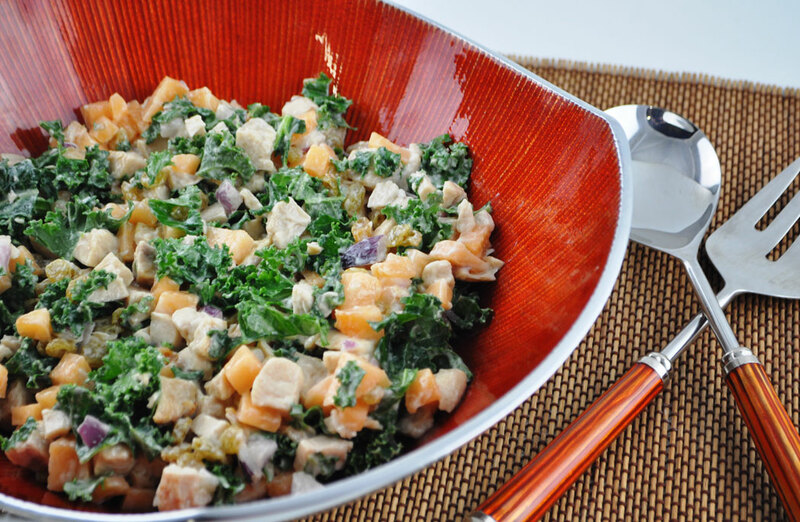 Now, aren’t you so *lucky* to have kale in your life? May the luck of the kale be with you year-round! Let us introduce you to your new Friend with Benefits or FWB for short: kale. Let’s just say…you have never had a friend like this before. This friend is looking out for your best interest, making sure your body and overall system are functioning to the best of their abilities and that you are healthy and even happy! What more could you ask for in a friend? Kale is your source of carotenoids: these helpful little guys are linked to a person’s level of optimism. Turn that frown upside down and instantly improve your mood by adding kale to your daily diet. Lactose intolerant or just don’t like milk? Kale has 150 mg of calcium for every 100 grams, while milk has 125 mg! Kale has more vitamin C than an orange! 1 cup of kale has 134% of the daily recommended intake of vitamin C, compared to 113% in a medium orange. Kale also has 133% of the daily recommended intake of vitamin A, more than any other leafy green. Kale is chockfull of vitamin K, with a 1327.6% of the daily recommended intake. Vitamin K is great for bone and heart health. Kale has also been known for lowering the risks of many cancers, including: bladder, breast, colon, ovary, and prostate cancer. This is due to the isothiocyanates (ITCs) in kale. These little guys make detoxing this new year a breeze. An easy way of doing this is by adding a cup of kale to your favorite morning smoothie! 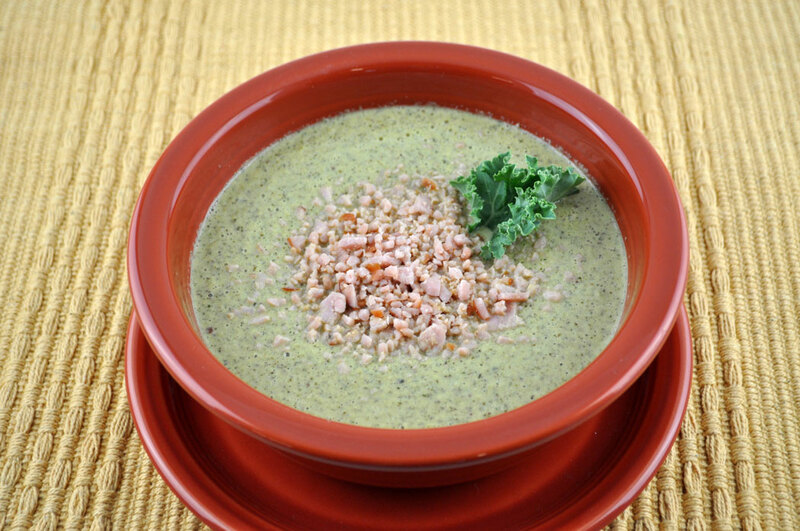 Throughout 2014 we will share our love for kale with facts, recipes, and recipes. Check out this month’s recipes and come back next month for some heart-healthy recipes that are also sweet and fun for your valentine(s) whomever they may be!